Traveling through the Netherlands is easy and fun. I recommend taking the train from one city to the next. They run like clockwork, there are plenty of trains so you don’t have to wait too long to get to your destination, and they are pretty fast. Besides, it saves you time and money on trying to find a parking place. If you are more active and adventurous, then renting a bike would be best for you. The infrastructure for cyclists is amazing, you will find bike parking lots everywhere, and it will make it easier to get closer to whatever attraction you choose. Another important tip: make use of every bit of sunshine. Hot, sunny days are not that frequent in the Netherlands, not even in the summertime. So if you catch one, make sure to spend it outside. Join everyone else on a terrace and enjoy a piece of apple pie and a cold cherry beer! Keep an eye out for Kermis! These are traveling funfairs and you can find these throughout the Netherlands, especially during summer months. Think amusement park rides plus lots of sweet and savory treats and people out and about. I’ve experienced the Kermis in Alkmaar and would love to have another taste. There are plenty of guides on Amsterdam, so I will just stick to the highlights. If you get there by train, the main station is within walking distance from everything, so all you need is the time to explore and a tourist map or your mobile maps application. 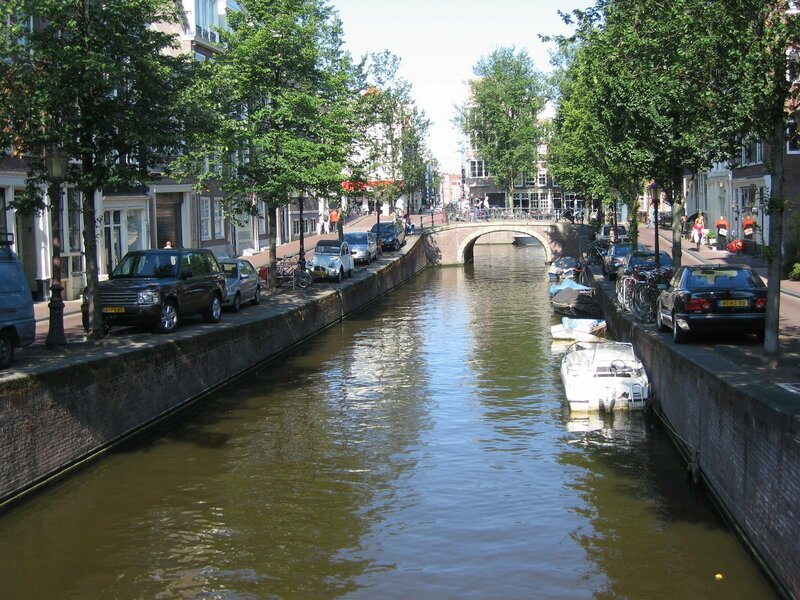 Canals Tour – this is absolutely a must in Amsterdam. Other than being absolutely lovely, all you need to do is cross the street from the station to find one of the tour stops. Navigating the canals of Amsterdam is an experience in and of itself, but it will also give you a roundup of everything there is to see in the city. So if you’re unsure of where to head next, this is the way to go. Check out the Museums – There are plenty of museums in Amsterdam, and if you’re into such attractions as much as I am, you will love them. My favorites were the Van Gogh Museum (both for its display of art and its modern, unique architecture), and the Rijksmuseum. It is important to note that only these two museums will take quite a few hours to visit. Maybe schedule half a day of strolling and visiting them to make sure you have enough time. 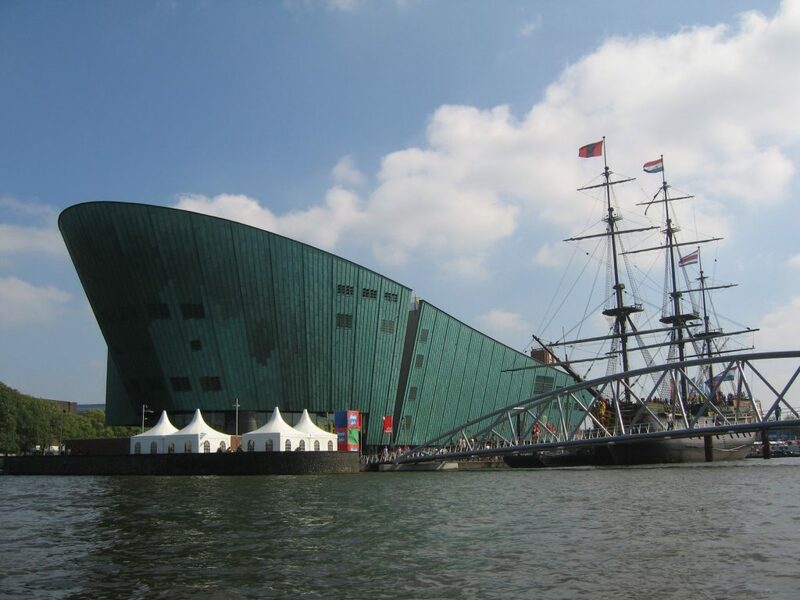 Another must see, especially if you’re traveling with kids, is the NEMO Science Museum. Other Attractions and Activities – As I said, I am picking favorites for this tour. 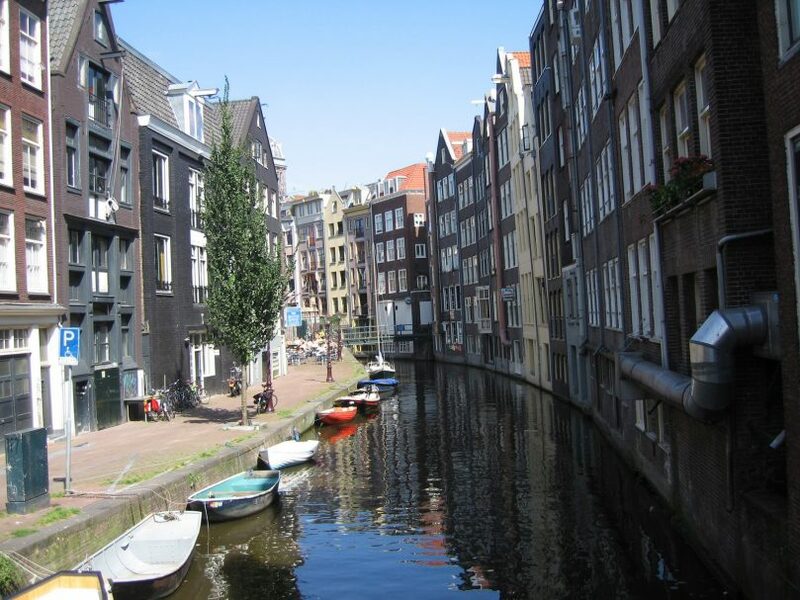 I’ve enjoyed checking out the infamous Amsterdam cafes, even if I didn’t participate in the activities, as well as visiting the Red Light District. These are such huge symbols for Amsterdam that I don’t think they should be missed. Also, make sure to keep an eye out for unobtrusive gardens. If you’re there with a local, you’d be surprised to just push open a gate and stumble into a small but gorgeous garden. Some of these are private, but can still be checked out. The Cheese Market is one of my favorite things to experience in the Netherlands and the one in Alkmaar I found to be the most entertaining. It’s also quite famous. This particular Kaas Markt has a history that can be traced back to 1365. 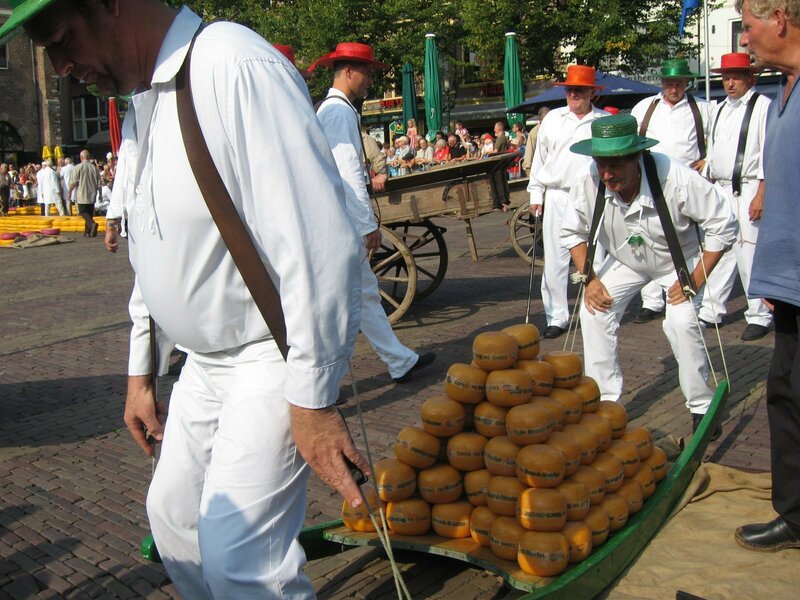 See huge hunks of cheese being thrown around, men carrying huge loads of cheese (and sometimes people), and take photos with the cheese girls who have the biggest smiles ever. The small harbor town of Hoorn dates back to the 8th century and it’s a must see. Only 35 kilometers from Amsterdam, it will delight you with gorgeous views of the harbor, typical Dutch architecture, and lush, wild-looking parks. 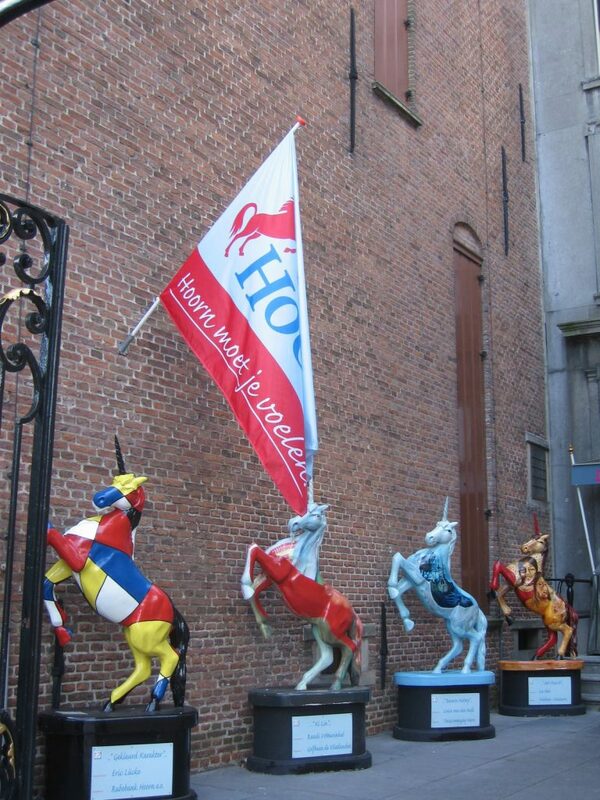 The coat of arms of Hoorn includes a unicorn, which is a prominent symbol of this destination. You might spot some on the roofs, or if you’re lucky, you’ll visit during a town celebration where they put unicorn statues everywhere around the city. 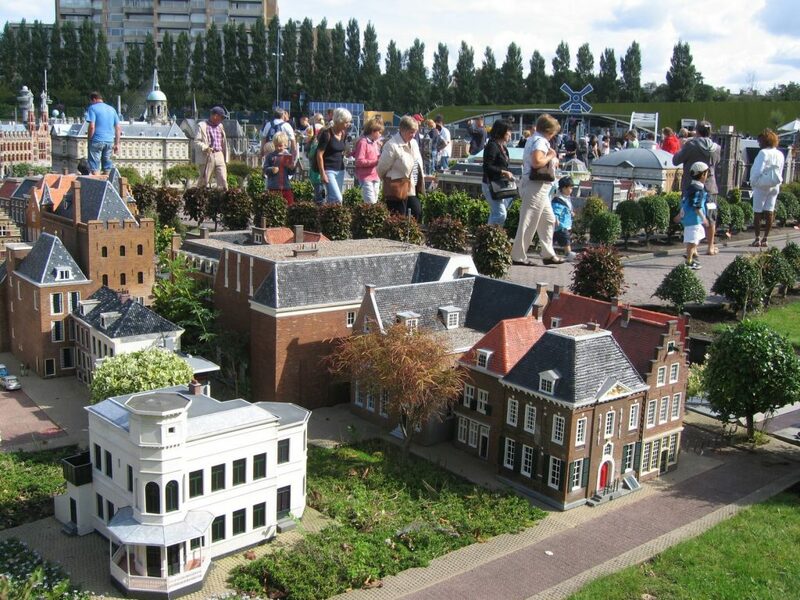 The Madurodam is the easiest way to experience all of the Netherlands highlights in one afternoon or one full day. This park located in the Hague is a miniature reconstruction of the country’s most important destinations. It’s built in great detail and is well worth the many hours you’ll spend there. It’s perfect for those traveling with kids, and easy to reach by train. What other Netherlands highlights would you add to this list? I’d love to hear from you and add your suggestions to my future lists of things to see in the Netherlands! 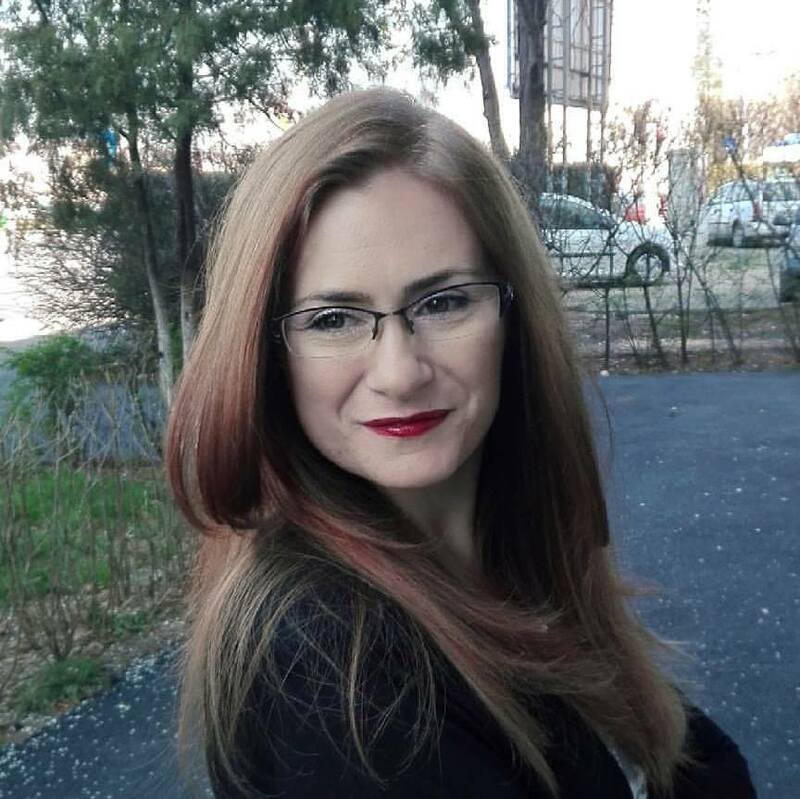 Alina Popescu is a writer, traveler, and coffee addict from Romania. She’s loved travel all her life, and although she does not remember it, her first seaside vacation happened when she was two. She’s been traveling internationally since she was thirteen and she shares her guides and tips on TravelTweaks.com and her adventures with her dog on PetTravelTales.com.